I can't add an image to the widget on the Services page. The whitening, veneer and implant widgets only allow you to change the icon. No add image option is available. Please help. The featured pages widget automatically uses the page featured image, this is why it doesn't have an image upload option. So If you want to add image, edit the pages. 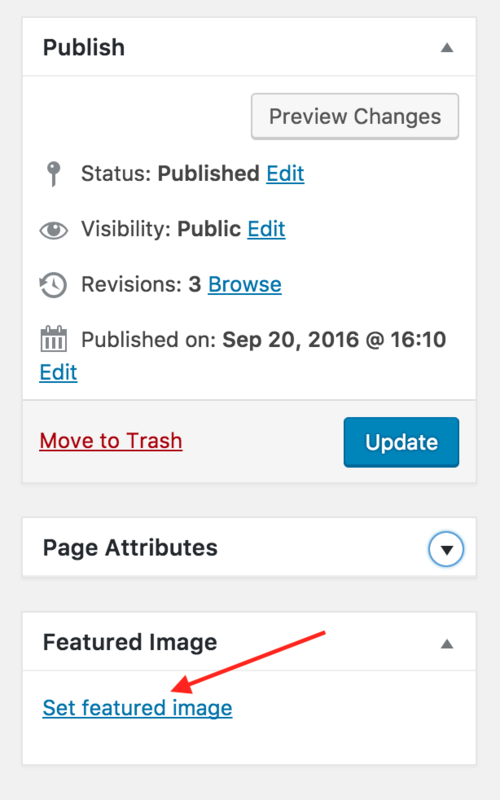 The featured image can be added on the right side of the page edit screen. Hi. I did set the featured image but it does not show up under the widget for 'whitening' on the carousel. I am sorry if my answer was not clear enough. Let me try again. Featured pages widget displays title, the excerpt and the featured image of the page that it is being displayed. So in your case, you want to display "Teeth Whitening" page (among others). This means you have to edit the "Teeth Whitening" page - change the feature image of the "Teeth Whitening" page, not the featured image of the page, where the widget is placed. Thank you. This resolved my frustrating situation!